Plot - The film is about the adventure of group of friends through the eye of Charlie, who lives in London and smitten with Carrie an American girl who Keeps meeting Charlie in four wedding and a funeral. The film is about Charles and his friends as they wonder that they will ever find true love and marry. This British subtitle revolves around Charlie, his friend and the four wedding and one funeral which they attend. And these wedding Charlie find his “Miss Right” in an American woman named Carrie. For him, it’s love at first sight and she too is attracted to him, also they spend memorable time with each other. 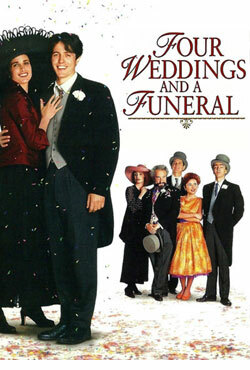 Awards & Nominations Won by "Four Weddings and a Funeral Movie"
Box Office Earning of "Four Weddings and a Funeral"